UPVC Cladding paint is just another fantastic product that we have available here at Promain that is not only a high quality product but are also priced reasonably and competitively. Promain make sure that our customers are getting the best items on the market by making sure that we source our products from only the very best suppliers in the industry which means that we are selling products that we know we can trust and that we know are reliable. A quick drying and versatile, non-yellowing water based paint, available in a wide range of colours and a choice of finishes. Suitable for most exterior surfaces. Solvent Based. A solvent based 2 pack PU applied without a primer to glass splash backs, plant, agricultural equipment, plastics etc. A water borne two pack polyurethane topcoat, suitable for application to various composite materials and certain plastics. The UPVC cladding paint is the ideal product to be applied to weathered UPVC and is a product that is often used in the building industry for use on exterior cladding soffits, bargeboards and window frames on houses and commercial factories as well as many other buildings. 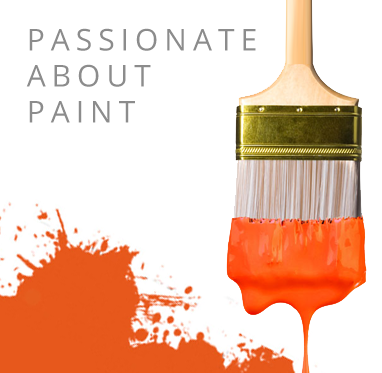 These multi surface paints are easily applied using paint brushes, rollers or airless spray. We have UPVC Cladding Paint available in 30,000 colours which is fast drying and is a the preferred application that is used by many commercial decorators. Promain like to make sure that the UPVC cladding paint that we provide our customers with does the job properly and that is why we only sell the very best products on the market to ensure complete customer satisfaction. This paint is also non yellowing and can be thinned with water when being used on porous substrates. If you are looking for UPVC Cladding paint then make sure that you take a look at the fantastic products that we have available here at Promain. We have these paints available in matt, gloss and satin finish therefore make sure that you choose the fantastic UPVC cladding products that we have available at Promain. As the UK's leading distributors of Cladding Paint, we can help you make the right choice today.